Another myth about CAD management shattered by BARI 2D ! CAD management has been riddled with controversy for over decades. 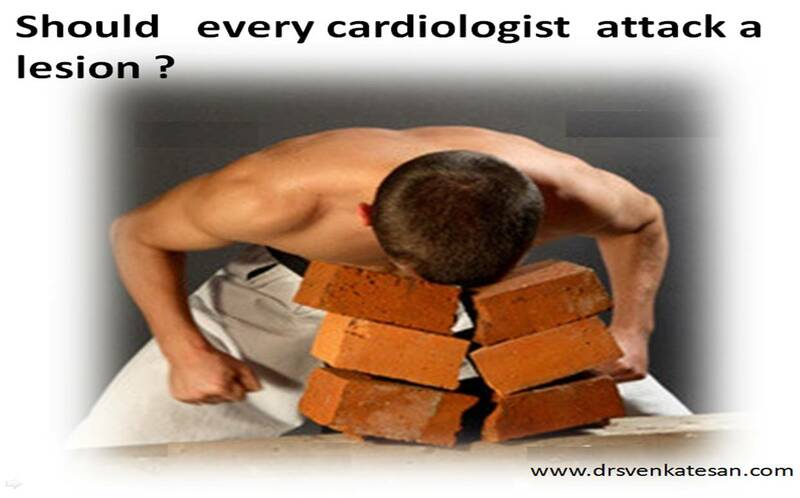 Should we revascularise all obstructive CAD we encounter ? Logic and scientific presumptions argued a strong case for it , and hence most of these patient population got some form of revascularisation . (PCI or CABG ) . This continued for years till COURAGE study threw a shocker ! ie medical management is as good as any from revascularisation in stable angina patients. While , the cardiology community was divided over the COURAGE conclusion , here comes another shocker from the New England journal of medicine ( June 2009 ) , against revascularisation The BARI 2D trial . It shattered the ultimate myth, in diabetic CAD patients , neither PCI nor CABG has survival advantage among diabetic population . The beauty of evidence based medicine (EBM ) is , genuine science will ultimately prevail over pseudo science. But the danger with EBM is , it conquers the truth in it’s own time frame .In the process , EBM has to overcome so many hurdles , both natural , man made, advertent or inadvertent but ultimately truth must triumph , at least we hope it triumphs . In the intervening time , it has become absolutely essential , for the humans to suffer . The only way , mankind , can be protected from this deadly game of EBM is that , our physicians should have the inherent fore- sight to identify & ignore the “Would be doomed evidence” !